24 Jan Believe That You Can Do It! Most people would find it easy to write a letter but difficult or impossible to build a house or create a large sum of money. Others find that making money is no problem for them, but finding a partner is a constant dilemma. There are people who have no problem finding a partner; their greatest challenge is making enough money to pay their bills. The degree of difficulty in creating what we want lies within our belief about the difficulty or possibility of creating it. When it comes to creating a new experience, we need to believe it is possible to create something other than what presently exists in our lives. Too often we believe that whatever exists right now is hard, factual reality and that anything else we may hope for is wishful thinking or fantasy. Most people have no problem believing they can drive a car. But imagine what would happen if someone believed that is was difficult or even impossible to learn how to drive. When you expect that you can learn to drive, you take action to create that experience. If you believe you cannot drive, why would you even try? If you have a belief that only one course of action is possible, it won’t even occur to you to look for a different course of action. Your limited belief will limit your experience. Changing a belief doesn’t have to be difficult or take a long time. When you find a belief that is limiting you, simply choose another belief. Imagine that you can turn the dial on your “mental radio” and tune into a new frequency. focus on more desirable, more empowering, and more inspiring thoughts. 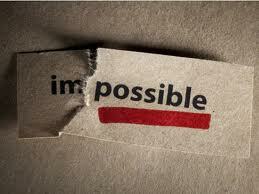 You may think this a difficult task, but it will only be so if you believe that it is. Here’s a simple experiment you can do: Think about a yellow pencil. Now, stop thinking about the yellow pencil and think instead about a red rose. Was it difficult to stop thinking about the yellow pencil and start thinking about the red rose? That’s how simple it can be to change your thoughts and beliefs! Every belief also generates its own emotional state. We can become addicted to the familiar feelings that accompany our beliefs, making it more challenging to change that belief. It can be easier to stay in a comfortable rut than to move on and forge a new path. At least we know what to expect with the old familiar beliefs and emotions, even if they are unpleasant. Sometimes we love the passion, the intensity, and the drama of emotions. Once we start feeling sorry for ourself, feeling depressed, or feeling angry, these emotions gain momentum and can take on a life of their own. We can think of emotions as “energy in motion.” Once an emotion is actively engaged, it can be challenging to stop it. Changing your beliefs will take focus, determination, commitment, concentration, and discipline. You must keep your attention focused on your new, desired situation and not allow yourself to lazily slip back into old, comfortable ways. It may take effort in the beginning, but with practice it does get easier. Everything we learn takes practice like walking, talking, eating and so on. If you keep practicing, soon your new belief will feel comfortable and familiar to you. While you are changing your beliefs, your life may appear to be in chaos for a while, as two opposing beliefs vie for position in your world. You may experience static on your new “mental station” until you are able to successfully adjust the dial and stabilize the frequency. Your old life experience may continue for while, but this doesn’t mean that the process isn’t working. Don’t give up. Even though it may be challenging at times, it is still a worthwhile endeavor.